Why you need to add SMS to your communications strategy. Way back in the day, email was a customer communications dream come true: lightning fast, reliable, and cheap. And it still has an important place for business, particularly for big content pieces like newsletters or product guarantees. But when you need to communicate with customers in precise moments and exact places, email doesn’t cut it. 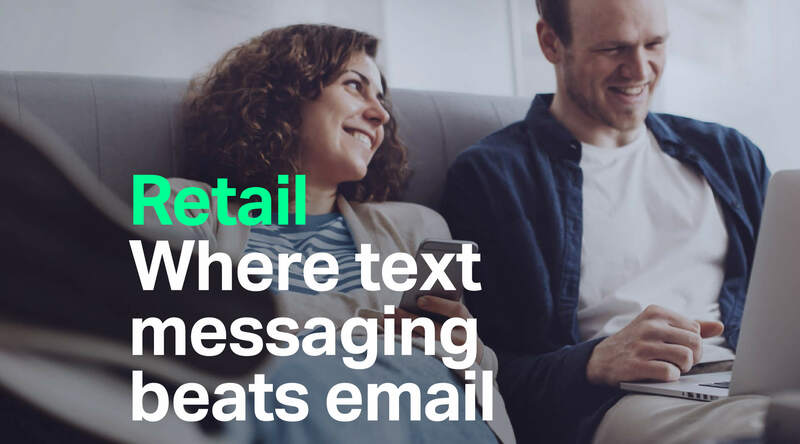 The truth is, for lots of customer communications — like delivery notifications or surveys — a much better option is text messaging. Download our eBook for the full story on the benefits of using text over email at the right moments.